Having long realised the most modest vignerons invariably make the best wines, I have always greatly admired Rudi Bauer, both as a person and his Quartz Reef wines. You will not find a more humble winemaker than Bauer, although he does remind me a lot of Ian Marks at Gembrook Hill, in the Yarra Valley, Australia, both hypercritical of their wines, continually censuring themselves. “We must try harder”, “We learnt something valuable that year… it will help us improve”. “We know our soils and climate just a little bit better each year and maybe one day we will make a great wine” is Bauer’s reckoning and relentless narrative. Indeed, I have never heard Bauer (or Marks) openly praise their own wine, which is inspirational amongst all the bravado and self-congratulatory exaltation gushing from some winemakers and marketers. The fact is Quartz Reef wines are exceptional; oozing character and personality, and a resonating sense of place that has been an evolving story of vines maturing as much as a vigneron perfecting his craft. I first meet Bauer some 15 years ago, although it seems longer, calling at his wholly unpretentious winery (shed) in Cromwell, Central Otago, we tasted through his initial sparkling wines. He had not made a pinot noir at this stage however it did not stop us breaking bread in a Dunedin restaurant with his financial partner accountant, Trevor Scott, discussing the possibility of my representing Quartz Reef in Australia. As it turned out, my Central Otago focus as an importer was consumed by Chard Farm and Mount Difficulty. However, I remained in continuous contact with Bauer over the years visiting him regularly at the vineyard or catching up with him in his travels. I have come to know him well and appreciate his genuine altruistic nature and indubitable statesman quality in championing the New Zealand wine industry. He is reserved by nature and not one to seek the limelight yet give him the microphone and his charismatic side comes out, perspicaciously hiding behind his native Austrian tongue and playing on this purported lack of English, camouflaging a canny wordsmith and razor sharp mind, moreover an equally sharp and indefatigable sense of humour. It is this unwavering sense of humour that his wine industry colleagues and peers adhere to; to be taken seriously, but not to take it too seriously. It could be put down to the jocular nature of New Zealanders rubbing off on him, and yet I have seen this trait in many Austrian winemakers too. I cannot recall a conversation, a sentence or rumination with Bauer without him embellishing it with humour and making light of the whole business. And yet behind all this bonhomie there is a deep respect for Bauer’s acumen, wisdom, accomplishments and profound pioneering spirit. Indeed, he was one of the few truly qualified people in the New Zealand wine industry when he arrived in 1985, having accomplished degrees in viticulture and winemaking in Gumpoldskirchen (1975-79) and Krems (1980-82) in Austria, followed by winemaking business college in Bad Kreuznach (1983-84), Germany. His career as a Kiwi vigneron is punctuated by stints in California and Burgundy, and although he was winemaker at the prominent Giesen Wine Estate in Canterbury from 1993 to 1997, I would suggest that it was his time prior to this (1989 – 1992) at Rippon Vineyard in Lake Wanaka that sowed the seeds of infatuation for Central Otago, moreover that yearning desire to create something unique and to control one’s own destiny. Bauer says it was the skiing and excellent beer that attracted him most. Actually, the catalyst was when he spotted his ‘dream vineyard’ site, a perfect north-facing slope, when driving through the Bendigo Station back in 1991, and “Fell in love with the place”. There were no vineyards here at the time in what is now called the Central Otago sub-region of Bendigo and this harsh yet breathtakingly beautiful landscape was unproven for vines, or anything really other than gold (back in the 1860s), rabbits and merino sheep, and essentially in that historical order. Effectively, Bauer was embarking on a blueprint for planting vines on mars, and even he sensed the marginality and challenges, and not only the hostile terrain in terms of suitable soils or sufficient water, but even more practical issues of electricity and infrastructure on a 12,000 hectare station of “dust, rocks and rabbits” abutting the Southern Alps. It took a further six years for Quartz Reef to come to fruition with long negotiations and development of a business plan with the landowners, the Bendigo Station, John and Heather Perriam. The Perriam’s are themselves the true pioneers of the region and great visionaries. The best armchair way of grasping the incredible story of the Bendigo Station (www.bendigostation.com.nz) and the tenacity of the people involved is to read the inspiring story of owner, John Perriam, in his book “Dust to Gold”, (Random House ISBN 978 1 86979 280 0). It was natural, if not alluring, that the vineyard take its name from the Bendigo quartz reef gold rush and the geological profile of the quartz reef outcrop a few kilometres away. However, once you start digging in to the history of the gold rush and the hardships these early settlers endured you sense the parallels of Bauer’s endeavours and the intoxicating history and temptation of this provocative landscape. 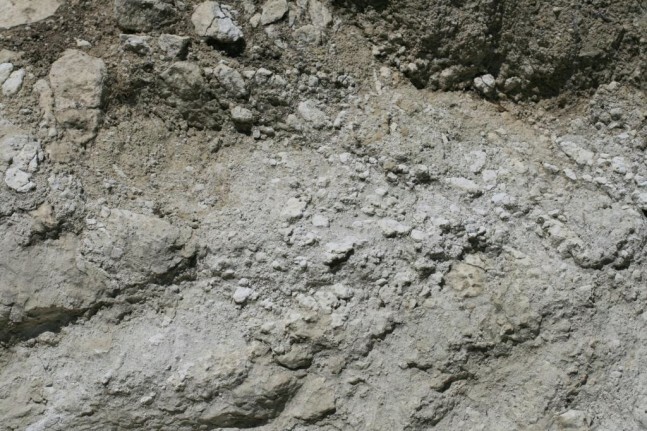 The vineyard soils are indeed abundant in quartz sediment and fine gravels embedded in arid clay. Bony is how I would describe the soils (a bit like the winemaker) in the original 15 hectare vineyard with its decidedly steep slopes and a desolate, infertile look. Actually, the sort of impoverished look of classic European vineyards. 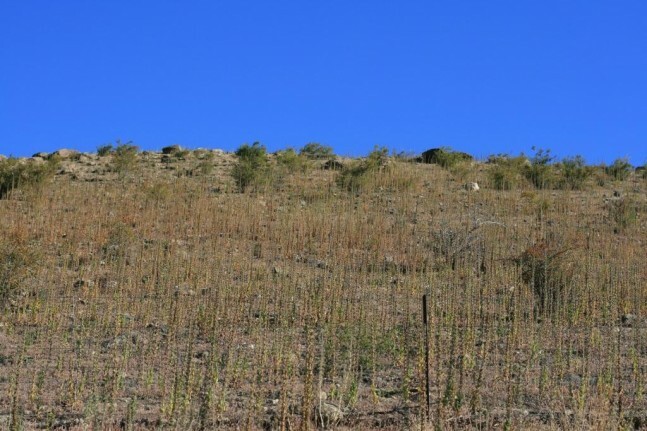 Below the original plantings, there is now a second modestly sloping, north-facing vineyard with fine sandy loam (Waenga) and shallow sandy loam soils (Molyneux), no less arid although perhaps not so dramatically so in terms of appearance. There was a considerable degree of scepticism surrounding the Central Otago area in these early days, and that’s not that long ago. Issues of extreme climate and lack of water were tangible, Central Otago being the driest area in New Zealand and temperature soaring to 38 degrees Celsius in the summer and plummeting to well below zero in the winter. Many of the informed wine industry deemed the area unsuitable for commercial wine growing, little lone the capricious pinot noir grape. And yet almost 100 years before this, the government had enrolled the expertise of an Austro-Hungarian winemaker, Romeo Bregato, to evaluate the potential of viticulture in New Zealand and ascertain the regions with the most promise. In his report ‘Prospects of Viticulture in New Zealand’, Bragato single out Central Otago as “a region with great potential”. I wonder if Bauer was in some way subliminally influenced by his fellow countryman. I have never asked him, but there is certainly homage to Bragato’s vision amongst vignerons these days, equally a deep respect for those early modern-day pioneers, Rolf and Lois Mills (Rippon), Rob and Greg Hay (Chard Farm), Allan Brady (Gibbston Valley Wines), Sue Edwards and Verdun Burgess (Blackridge), and Stuart Elm’s (Felton Road), all of whom had the substance to lead the way. No question Bauer is the pioneer of the Bendigo region. Indeed he’s the Josh Jensen of Bendigo, that crazy-visionary pioneering Californian winemaker at Calera, and there are many parallels one can draw from the two properties and stories; the remote harshness, foresight and perseverance. Calera’s fascinating story is brilliantly told in the book, ‘The Heartbreak Grape, A Journey in Search of the Perfect Pinot Noir’, by Marq de Villiers, (McArthur & Company). In reality it is only the last ten years or maybe even five that international wine writers have dispelled the regions ambiguities, illuminated by the abundance of profound and distinctive wines coming from Central Otago. There are still sceptics, perhaps more out of jealousy and protectiveness of the holy realms of pinot noir. Maybe the ultimate sanctification will be when a respected Burgundian vigneron puts down roots in the region, perhaps Domaine Joseph Drouhin, like they did in Oregon, USA. You could say ‘the rest is history’ however, the story and property is still very much evolving and perhaps of most significance is the Quartz Reef’s conversion to biodynamic viticulture. 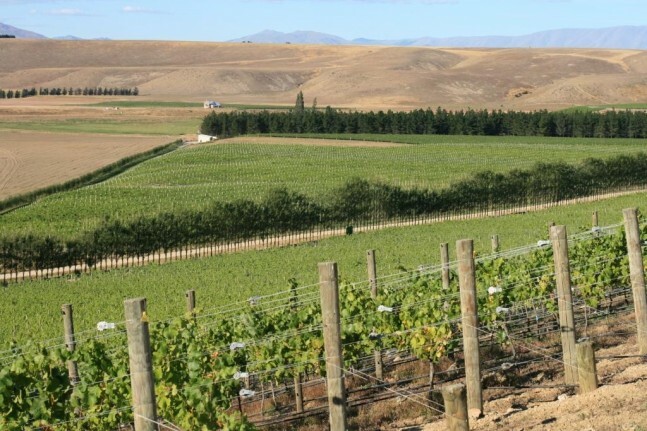 In the bigger picture, Central Otago is ideally suited to organic and biodynamic viticulture, the dryness of the regions making it far less susceptible to vine diseases. Imagine if the whole area declared itself organic. Now that would send a message to the international wine stage. 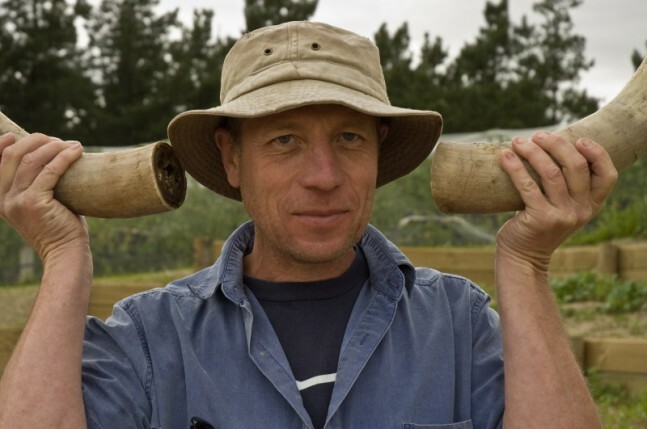 Bauer has always been an organic practitioner and shunned the use of pesticides and herbicides as far back as his early days at Rippon, setting them on their course for biodynamic viticulture that Nick Mills champions today. I am surprised it took Bauer so long to kick in with biodynamics himself, given that the father of biodynamic ideology and early practices, Rudolf Steiner, was an Austrian, and Bauer had actually studied the subject in his youth. I personally think biodynamics will play a strategic role in the evolution of Quartz Reef and Bauer already talks of seeing new life in the soils of the vineyards. I am positive that the balance of nature will be enhanced, or restored; bringing the soils back to what they were, before the rabbits decimated the area. Having walked through the vineyards over the years, on my recent visit I could visibly see the change in the top soil and cover, and I am sure there will be more to come as the whole property benefits from this all-encompassing approach. I also sensed a slight change in structure in the pinot noir 2010, although this could be a product of the vintage, which already has a reputation for very flirtatious wines, particularly in bright fruit and seductively smooth tannins, but the optimist greenie in me would like to think biodynamics is already making a difference. When it comes to Quartz Reef Pinot Noir though, I have come to expect quite assertive and chewy tannins, although still fine and integrated. It has always been a masculine style; a Chambertin Clos de Beze style if you like; powerful and brooding requiring a good deal of patience before the wine shows it’s true form. Bauer himself sees this firmness in the wine and one of his stand-up acts, with a deadpan look, all six foot 3 of him and wiry frame, “Bendigo tannins are masculine and I bring femininity to the wine”, which always gets a good laugh. As always, he is attempting to downplay his wines, and yet what I personally see in his wines, is one of the few Central Otago pinots, if not among all New Zealand pinots, a real structure and that beguiling savoury-sauvage quality that we cherish in red Burgundy. I have always admired this quality in his wines and thought the taut structure and natural firm tannins was a good indication of the bony soils and strong indication of the terroir – that the wines displayed a true sense of place. And they are clearly different to Gibbston Valley or Bannockburn pinots, the subtleties and nuances of the different micro-climates of the Central Otago sub-regions and the myriad of soils now starting to paint a fascinating picture and slowly revealing a very complex story. Bauer is perhaps even more enamoured with his sparkling wines, as this was his first vision of the Central Otago region attaining viticultural greatness and the partnership with the artisan grower Champagne Marc Chauvet was the focus for many years. 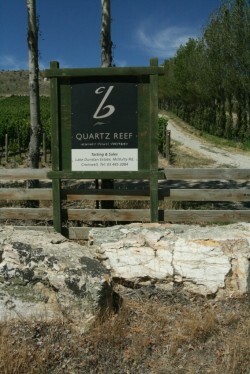 Even though this partnership no longer exists, and the region has arguably destined for pinot noir prominence, the Quartz Reef sparkling wines play an equally important role in his repertoire and they homogeneously speak of the soils, with a restrained pure and fresh style, partly because there is no malolactic-fermentation, no oak and a vivacious balance between natural acidity and dosage. There is no question Quart Reef sparkling wines are the finest in Central Otago, the NV Methode Traditionnelle arguably having the best quality/price rapport for a non-vintage in the country. The Methode Traditionnelle Vintage I would suggest is the benchmark, its uniqueness of place, single vintage characteristics and extra time in bottle showing through with extra complexity and finesse. Quartz Reef Pinot Gris is consistently amongst the very best wines of this variety in New Zealand, even if atypical in much drier style, normally with around 2 to 3 grams residual sugar. A vintage aberration in 2010 saw a richer style made however this may not necessarily signal a change of style as Bauer says it was simply the vintage that dictated the natural level of residual sweetness, indeed 7.5 grams, with the only other vintage of this style in 2006 where there was 5.4 grams. My personal attention span on pinot gris is limited; it simply lacks the lustre of other white varieties, however I don’t think Bauer has to think too much about this wine, as he simply cannot keep up with demand for it. What I am excited about though, is his new plantings of 1000 gruner veltliner vines. I am perhaps pushing my own preferences here, and also giving myself a pat on the back, as I have been championing gruner veltliner for decades and long ago pointed towards the potential of this variety in New Zealand, particularly in Central Otago. You could say riesling – as the noblest of all white grapes – has more obvious potential in Central Otago, and it already showing exciting results. It is logical that all the aromatic varieties associated to Alsace have a lot of promise in the region however, mountains aside, I do personally feel there is a strong synergy to the climates and soils of Austria, and perhaps also we could be learning more from Austria and dealing with the balance of naturally high acidity and sugars. What I find most exciting about gruner veltliner, apart from its intriguing uniqueness in exotic aromas and flavours, is its ability to age and develop over many decades the level of complexities that have seen it outclass the very best white Burgundies in many tastings and events on the world wine stage. And I am sure Bauer will provide as with some provocative examples of gruner in the coming years that will stimulate the senses, and the market. Below are my collective tasting notes of Quartz Reef wines, largely pinot noir, and if could say in terms of evolution and ability to age, they completely dispel the notion that New Zealand pinot noirs cannot age. To the contrary, I would suggest that Quartz Reef Pinot’s need a minimum of 5 years in bottle before they show their best and a 10 year journey is ideal. I would also like to take issue on some of the comments from the international press, that need not necessarily be taken disparagingly, however from what I have seen there is a degree of misinterpretation and lack of insight that leads to an under appreciation of the unique, terroir-driven qualities of many new Zealand wines. One of the common threads in Quartz Reef Pinot Noir is the distinct aromas of dried thyme and essential oils (that Provencal mélange of sage, rosemary, lavender, anise) mixed with warm rock (schist and clays or terracotta-like odours) – the sensation of a hot summers day on the soil with an earthiness, and mineral smell permeating the air – and very similar to what the vignerons in Languedoc-Rouillson and Provence call garrigue – the smell of the earth. Although the French garrigue tends to have a little more animal-pelt, stinky sauvage to it, so this is perhaps a cleaner, New Zealand pristine mountain air type garrigue. You can see this in some Central Otago wines and logic would suggest that it comes the wild thyme that carpets many of the vineyards and surrounding hills, and of course the soils. Quartz Reef is the quintessential example of a wine expressing this, and a clear indication of ‘a sense of place’, or ‘Tangata Whenua’, the Maori term that best portrays terroir, literally meaning the fusion of place and person. In summary, I believe Bauer is the quite achiever in the New Zealand wine industry, moreover a true statesman and deserves recognition and respect, to which I consider a most worthy upholder for the Walter Bourke Homage – Pinot Noir Producer of the Year. Showing nice development, earthy cedar forest floor, a profusion of mineral notes amongst dried wild mushroom and a touch of tawny-caramel, with aniseed and lavender tones amongst more pronounced dried thyme and sage nuances that is very much part of the herb/spice profile. Still very much alive, indeed there is still a wonderful freshness to the fruit in bouquet with high pitched raspberry, wild strawberry that builds as it breaths to a beautiful rich sweet red cherry fruit. Silky smooth texture, tannins have melted in to the wine, yet still displaying vitality, pronounced spice on palate, star anise and Szechuan pepper warmth with lively acidity giving the wine quite a tart savoury profile with impressive length and minerality. Seems to be ready in terms of bouquet but palate says still more time to go, at least another 5 years ahead of it. Great example of how long-lived New Zealand can be and impressive effort given this is the formative days. Bravo! Deep black cherry aroma with hints of dried fig, muscatel, subtle liquorice, lacquered duck and smoky, fatty nuances, hints of caramel amongst lots of warm gravelly notes and baked terracotta, a hot summers day in cedar forest-pine needles, also dried mushroom nuances, essential oils – thyme, sage and lavender oily aromas – which is the signature regional characteristic, some similarity in development to 2002 but clearly a warmer vintage profile. Gorgeous palate texture, again the tannins seem to have melted in the wine although present at the finish with black tea flavours and subtle grip, along with warm clay minerality. Plentiful red cherry fruit with some sweet raspberry notes and ripe strawberry, palate is very elegant, deceptively light yet has amazing power and persistent tartness of red berries amongst an infusion of minerals. A more brawny wine and looking a little more ready than the 2002, perhaps at its optimum in development but will hold for a number of years. Noticeably sweeter bouquet, more plumy fruit, plenty of red cherry, trace of liquorish, the lavender and spice notes quite strong, some hints of development with cedar forest and an alluring gaminess-venison-like, BBQ charcoals. Palate looking much more youthful, indeed still primary fruit zinging with tartness and concentrated raspberry and red cherry, firm tannins kick in, fine and powdery but mouth drying, lingering minerality with more cooler iron and schist nuances amongst fireside charcoals and hints of liquorish with a spicy warm glow and high pitched acidity – seriously good pinot noir with requisite tension. With five years in bottle, certainly a captivating drink but I would leave for another 2 to 3 years as this wine is destined for the long haul, and should still be holding around 2020. Super rich nose, very deep black cherry and blueberry but with an infusion of thyme and sage oils, wonderfully complex and alluring, a real charm to it with secondary complexities – earthy, wild mushrooms and dark warm earth minerally smells, also classic ducks guts and five spice. Huge, plush palate with layers of creamy rich chocolate coated cherry, sweet blueberry, tannins seem a good deal rounder and integrated yet with a very high level of extract, invigorating acidity with a warm glow of dried tamarind. Very dense, much bigger wine in the line-up so far and suspect low-yielding vintage; whilst very satisfying now will travel a long time – 2025. Dark cherry and bitter chocolate, breathing out to sweeter red berry fruits and lifted thyme and sage oils, actually quite hedonistic in fruit sweetness, fireside charcoals, dried woods, new cigar, looking very youthful. Plush, engulfing palate entry with a surge of sweet cherry yet quickly checked by dry, earthy tannins, mouth puckering and coated in thyme oil, and a saturation of nervy red currant. A youthful, energized wine that needs at least another 5 years to develop; typical of the Quartz Reef style requiring patience and will age beyond 15 years. Sweet blueberry and red cherry, quite primary and very plush bouquet with lifted aniseed and star anise spiciness, a little menthol whiff. Crunchy, intense raspberry palate appears lighter by comparison but perhaps just youthful with mouth-puckering fine tannins and formidable acidity, super-charged as it accelerates across the palate, very concentrated wine but balanced with fine, ripe tannins and high extract; a brooding colossus that breathed out to show a very seductive and lush vintage that will be very attractive in its youth but I will still leave it a good 5 years to develop and is easily a 10 year wine. Dense black cherry and blackberry bouquet marked by signature nuances of thyme oils, still very primary with charcoal notes and suggestions of oak. Palate seems relatively gentle, perhaps softer tannins with very crunchy, lively fruit although not lacking in concentration, certainly more substance the other 08’s I have seen from Central Otago – a brightness and sprightliness to the wine but not the brooding firmness and tightness one has come to expect with Quartz Reef Pinot. That said, it is no slouch, give it at least another 2 or 3 years yet as the acidity is powerful and the crunchiness and sweetness of fruit deceptive. Quartz Reef Bendigo Estate Pinot Noir represents the very best parcels of fruit from the original vineyard plantings – north-facing slope, wild-fermented separately and given a pre-and-post maceration depending on the tannin structure of grapes that vintage, matured in French oak, around 30% new. Is it a reserve cuvee? I am not entirely sure. It gets a raised eyebrow and the slightest grin of satisfaction from Bauer when you taste it with him. There is certainly more banter on old world techniques, flirting with whole bunch-ferments and a noticeably higher degree of grape extract and overall muscle in the wine. Perhaps this is where Bauer gets to push the boundaries and the minute quantities released are a teaser the realms of possibility. One thing is for sure, they deserve a long time in the cellar. Lifted perfume of sweet blueberry and black cherry, mixed with black pepper and star anise spice, dark chocolate, really hedonistic perfume, concentrated, brooding, fresh mushroom, loaded with dried thyme and essential oils. High pitched and intense raspberry and red currant really gets the palate standing to attention, some sweeter, richer red cherry mid-palate, then secondary nuances of pine needles and dried mushroom, and discernible peppermill spiciness on the back palate; the tannins seem a little more refined that standard cuvee, if anything a little more integrated and softer profile, although there is some grip at the finish amongst a long tangy tailing, wonderful wine. Yes, it’s stylistically different to the main cuvee although side-by-side I would suggest the Bendigo looks more restrained if not polished. 240 magnums bottled, that one can only assume will cruise past the 10 year mark and beyond. Monumental bouquet exploding in red cherry, hints of tamarind, orange peel, rich milk chocolate, dark plum, lots of spice, peppermill, aniseed, thyme oil, a tour de force! A surge of dense black cherry and blackberry, mouth-coating tannins, charcoal and bitter chocolate, almost painful acidity and good deal of tension; indeed the mother of all pinots, yet still wonderfully elegant in structure and silky, slippery, plush in its mouth-feel. It certainly has the same vintage characteristics of the main cuvee and one can sense a year that was naturally high in extract and seemingly perfectly ripe, but it needs years to develop, again only 240 magnums bottled and I would like to be around to try this one on its 21st birthday! Quartz Reef Bendigo Estate Pinot Noir 2007 – Named “Mike”, in memory of Mike Wolter – legendary Central Otago winemaker who tragically died in a winery accident. Noticeably sweeter, more lactose-like nuance, rich blueberry and black cherry, bursting with spice, peppery, star anise, baked earth, really mineral infused, a very flirtatious bouquet that seduces you to the next glass. Gorgeously rich palate, soft and plush yet meshed with firm, powdery tannins, very seductive sweet fruit and texture, deceptive in its elegance as underneath is a brooding power. It seems congruous in style to the main cuvee, 2007 clearly a very attractive if not voluptuous vintage, and this could be the most alluring wine Bauer has made to date, and if you can leave it alone for another 5 or more years it will look even sexier. Custard sweetness, some candied fruits, almond biscotti, hazelnut, subtle caramel, very alluring nose, rich olive oil notes, butterscotch, grapefruit citrus, some light honeyed nuances, still very fresh and appealing, palate is elegant and soft slightly textured, gentle, yet there is plenty of raciness to the wine with rapier acidity and intense fresh lemon, finishes bone dry and edgy with a touch of spiciness and persistent tang of lemon, very minerally, limestone background. Certainly goes to show his pinot gris age quite nicely. Nice perfume on this, more peach and nectarine, still has that attractive custard quality, nougat, young Brie cheese, and a discernible richness, almost a touch of white truffle, very attractive overall sweetness and stone fruit quality to the perfume. Palate is much tighter, with a backbone of tart lemon although show a bit more mid-palate succulence of mandarin and pear, although there is a bracing apply quality about the wine and the acidity is invigorating, finishing bone dry, again very minerally. Good perfume again, nice lift with pears and golden delicious apple, still has a youthful, banana-like aroma, primary ferment, cut apples, subtle almond notes, racy, lemony palate, very intense, tangy very perky, very dry, mouth puckering, subtle phenol-grip at the farewell – drinking nicely.